(Boosey & Hawkes Voice). 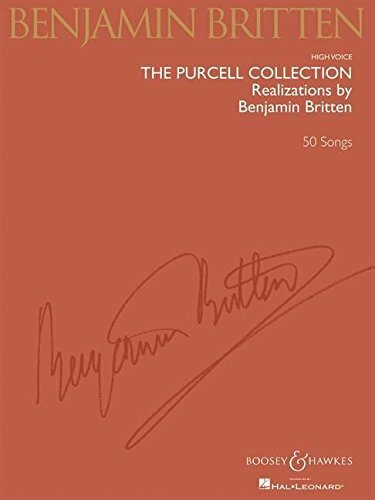 Most of the distinctive Purcell realizations by Benjamin Britten, vocal parts edited by Peter Pears, have been out of print for some years. This new edition collects 49 selections for high voice and 45 selections for medium/low voice. Includes 9 songs from Harmonia Sacra , 24 solo songs and six duets from Orpheus Britannicus , "The Queen's Epicedium," and selections from Dido and Aeneas and The Fairy Queen .